← D.I.Y. Fridays – Nature Therapy: Get Outside! Whether you are harvesting them fresh from your garden or picking them up from a local farmer’s market or produce stand, nothing beats fresh picked, locally grown herbs. So many herbs are so easy to grow that it is easy to have an overabundance at harvest time. There are many ways to preserve your harvest of herbs for both culinary and medicinal uses, including drying, freezing, and making tinctures and extracts. 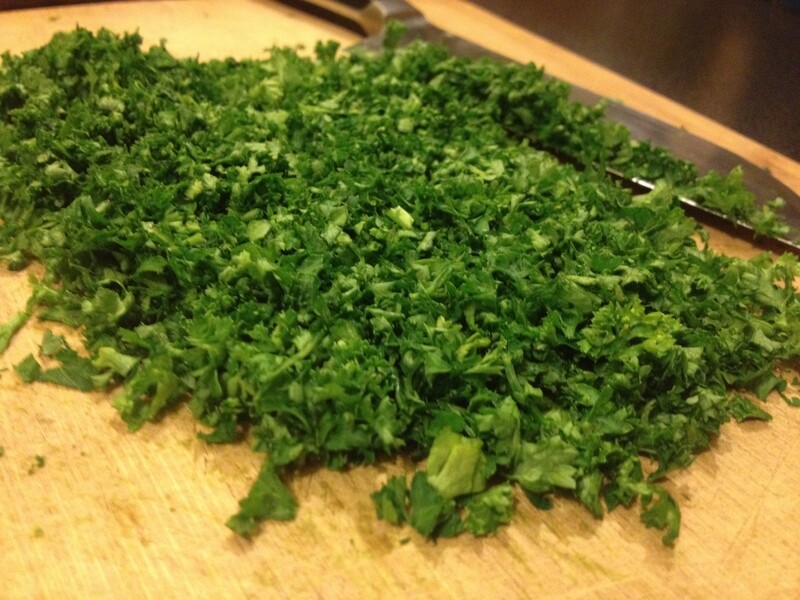 Fresh cut organic curly parsley. This week’s D.I.Y. 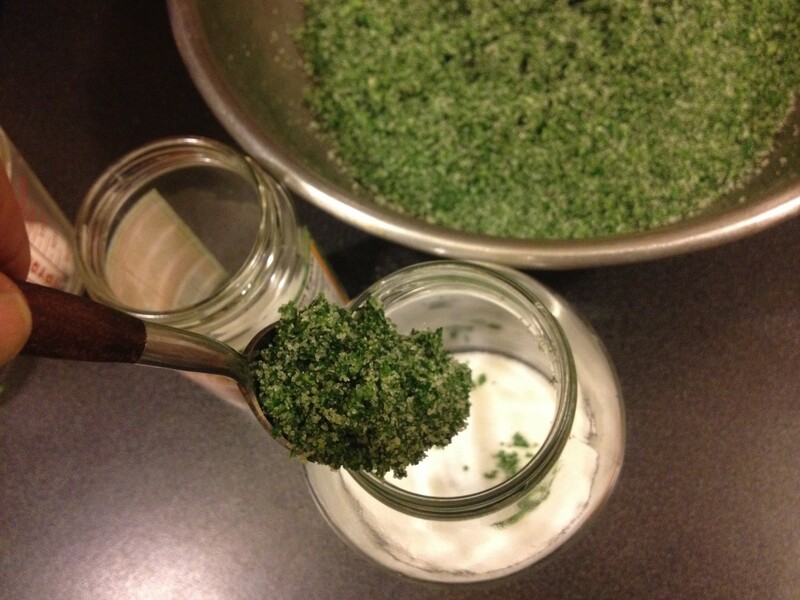 Friday post explores a method that was new to me until just a few weeks ago-salted herbs. It is the only way of preserving herbs that locks in the freshness of the newly cut herbs for weeks, or even months, past the end of the last harvest, extending the season just enough to make the wait until spring just a little more bearable. Finely chop your cleaned and dried herb or herb combination. Some instructions for salted herbs recommend using a food processor on a slow pulse. I find the herbs bruise less and stay fresher longer when chopping by hand so I always prefer this method when making large batches. Finely chopped parsley for homemade salted herb preserves. 2. Transfer your herbs to a large mixing bowl. Add salt. Mix well. 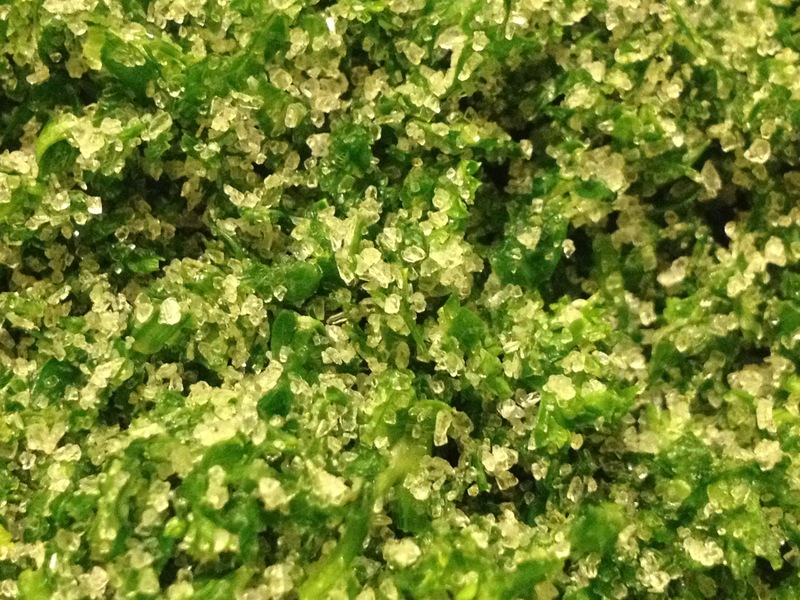 Parsley salt with organic parsley and sea salt. 3. 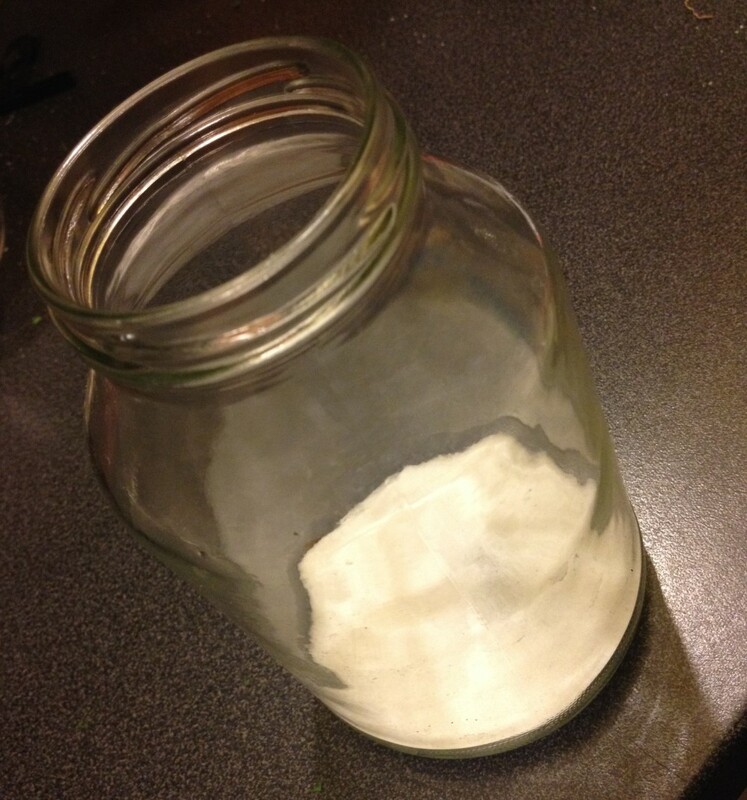 Add a small layer of salt to the bottom of the jar. This will help absorb extra moisture and preserve the herbs at the bottom. Jar for storing salted herbs. 4. Spoon mixture into jar. Cover tightly and refrigerate. 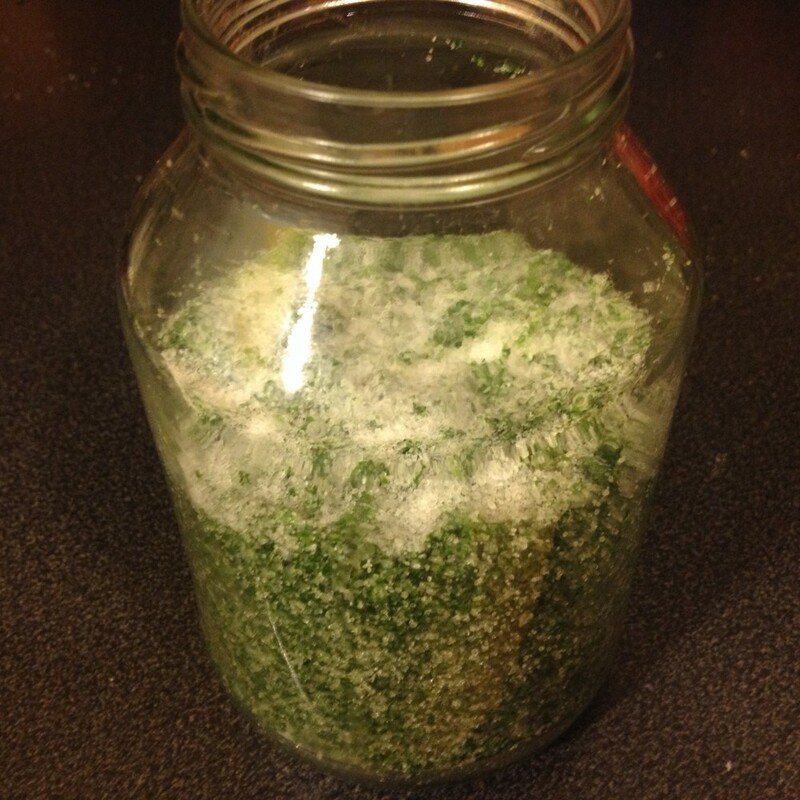 Store salted herbs in an airtight, sterilized jar. 5. Remember to always use a clean spoon when using the salted herbs, to reduce the risk of introducing bacteria to the mixture. You can use any salted herb mixtures in place of plain salt in any recipe or type of food-soups, stews, salad dressings, marinades, toppings for vegetables or meat dishes, dips, anything you would want the herb or herb mixture in. Remember not to use it as a 1 to 1 substitute for an herb in a recipe as the dish would turn out way too salty. Salted parsley ready to store. This mixture can last up to 6 months in the fridge.